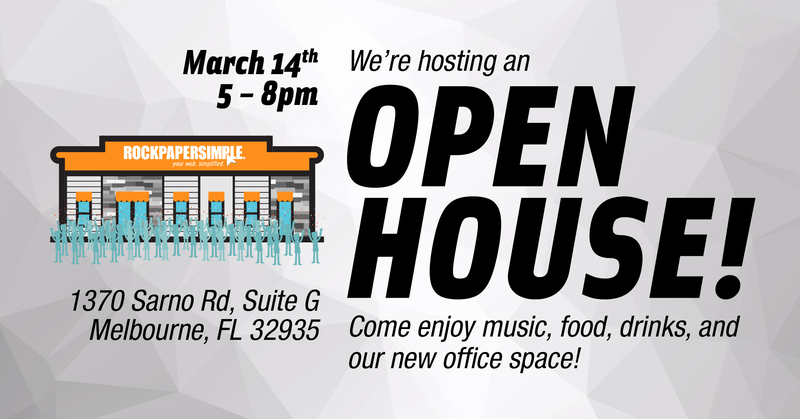 On Tuesday March 14th, Rock Paper Simple will be hosting an Open House to showcase its newly expanded office space at 1370 Sarno Rd Suite G, Melbourne, FL 32935. The Open House will host catering by Bearded Chef, complimentary drinks, and giveaway raffles. It is also an opportunity for people to meet the Simple Team and learn more about the company.